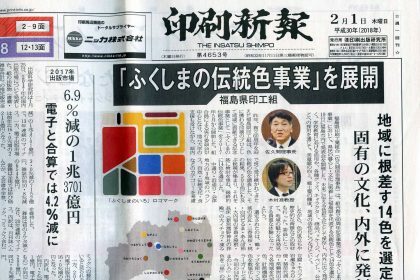 Lenticular printing where image appear to leap out. Enables easy, quality printing of surprising 3D images. 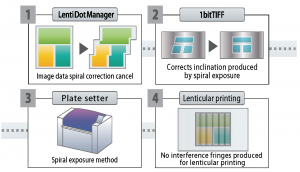 “LentiDotManager” is CTP workflow developed especially to facilitate lenticular printing. 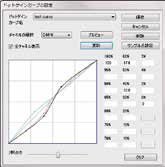 The software offers six original features that enhance productivity with less defects. 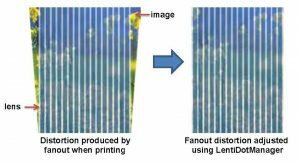 Enables you to easily perform high quality lenticular printing with minimal equipment. 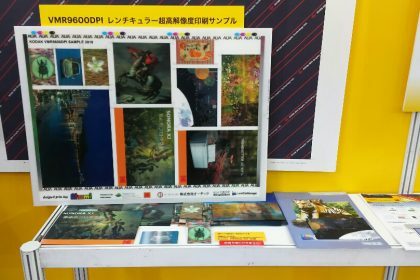 If you are equipped with a UV printing press, you can begin lenticular printing right away. No special equipment or expertise is required. With this software, you can solve the problems that needed a new equipment in the past. 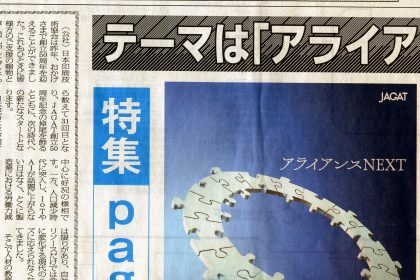 Just like conventional pagination software, you specify the various data positions and image to be used is loaded there. Lastly, when the lens pitch is input, 1 bit Tiff data that matches the expanding and contracting lens is generated. Automatically detects image markers generated by 3D interlacing software and adjusts to position that matches the lens. 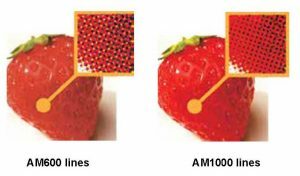 Original halftone dots that eliminate interference fringes produced when switching images color registration is accurately corrected and impact of fanout from the printing press is removed by trapezoidal correction. You can adjust mesh angle in 1-degree units so you can compare paginations at various mesh angles. LentiDotManager’s unique method enables accurate pitch measurement. Corrects inclination produced by spiral exposure. Ables to produce fine halftone dots up to AM500 lines at 2400 dpi and 1000 lines at 4000 dpi. This enables 3D printing with enhanced depth. Halftone dots are specially designed for lenticular printing, so you can print clean images that produce no interference fringes when switched. Because halftone dots can be used for conventional images as well, they can be used for applications such as reverse printing. To enable printing without interference fringes by lens perpendicular to the chuck. With a spiral exposure setter, interference fringes are generated at a uniform pitch perpendicular to the lens by the spiral correction function. 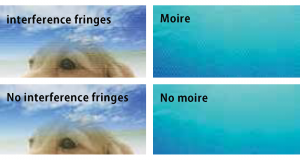 To perform lenticular printing without interference fringes, you had to either use lens that are perpendicular to the chuck or use a type that did not produce interference fringes. 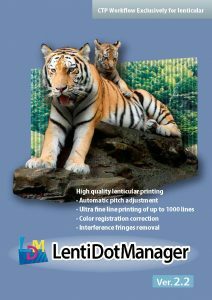 With Lenti-DotManager, you can eliminate interference fringes by executing processing to cancel correction for 1 bit Tiff data, thus enabling beautiful lenticular printing with the setter you are currently using. 6. Offers intuitive printing plate design. 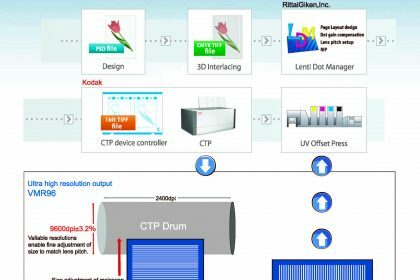 Printing plates can be designed using this software alone. You can save base and accessory settings as a template and use when similar pagination occurs in the future. 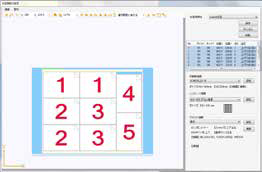 Sup – ports most 3D interlacing software. Simply place image in the hot folder and it is automatically adjusted to the lens position. Multiple images can be reserved for processing in the background. The device is equipped with all functions required for printing plate design including dot gain curve adjustment and accessories. 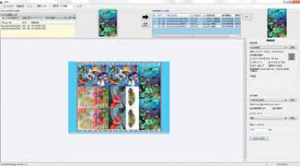 You can set the various markers required for lenticular printing without restriction.